U.K. Prime Minister David Cameron’s hopes for a British-style shale gas revolution recently took a major hit. Cameron has promised that his government will be “going all out” to develop Britain’s shale gas resources, which he argues will create new jobs and cut dependence on imported gas. But a committee made up of members of parliament (MPs) from several political parties issued a damning new report on the state of “fracking” in the United Kingdom. 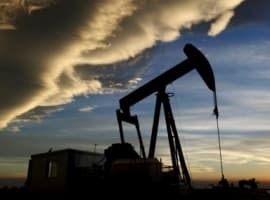 The Environmental Audit Committee published a report that called for a 30-month moratorium on fracking, citing “huge uncertainties” regarding the environmental fallout from widespread drilling. On top of the usual controversies over water supplies, the report says that allowing fracking will upend British climate change goals. The committee report was a political bombshell in London, but the House of Commons overwhelmingly shot down an amendment – by a vote of 308 to 52 – on January 26 that would have banned fracking outright. A separate amendment was put forward by the Labour Party that would add 13 conditions on fracking projects, which would put stricter environmental safeguards into place. 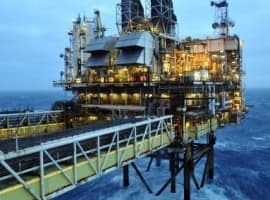 The amendments were added to a major infrastructure bill, a legislative vehicle that Prime Minister David Cameron hoped would grease the wheels for the gas industry. 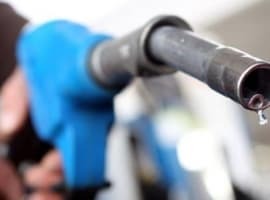 But Cameron’s shale agenda suffered a second significant setback after a leaked document was given to environmental group Friends of the Earth. Obtained by reporters at The Guardian, the documents reveal that Chancellor George Osborne reportedly told cabinet ministers in a September 2014 letter to fast-track the “asks” of Cuadrilla, a major shale gas company. Osborne ordered his subordinates to make it a “personal priority” of theirs to intervene on the industry’s behalf, including pressuring the Lancashire County Council to green light Cuadrilla’s drilling project. The scoop from The Guardian shows a shocking level of collusion between the government and industry, environmental groups charge. The Guardian revelation, coupled with the influential report from the Environmental Audit Committee, has halted Prime Minister Cameron’s shale gas campaign. Fearing defeat, Cameron accepted Labour’s initiative to put environmental safeguards in place in order to keep some semblance of shale development alive. As a result, fracking will be banned near national parks, areas where water is collected, locations of natural beauty, and other sensitive ecological areas. This will rule out significant swathes of potential drilling territory. Nevertheless, environmental groups have failed to achieve the blanket ban on fracking that they aimed for. But that does not mean the pathway has been cleared for drillers. In a complicated twist of events, the Lancashire County Council appeared poised on January 28 to reject Cuadrilla’s proposal to drill two sites within its borders. 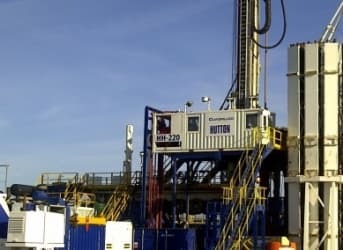 However, after some last minute lobbying, including revisions by Cuadrilla to its drilling application, the council voted to defer the decision for two months. Several councilors who opposed Cuadrilla’s plans cried foul. Cuadrilla’s quick thinking may have kept its drilling hopes alive for now, but after the missteps by the government, the public backlash is on. Piling on, Scotland issued a moratorium on fracking on January 28, citing the need for a more extensive public health assessment. David Cameron’s shale gas dream just suffered an enormous blow. Let's face it, fracking is dead. Instead of pouring trillions of dollars into an unsustainable product while risking huge loses in stranded assests, why aren't investors turning away from fossil fuels and toward renewables? ?